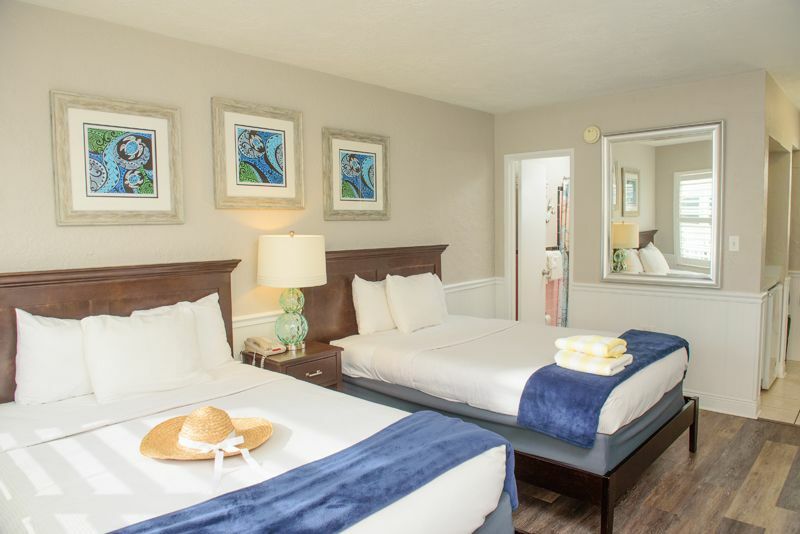 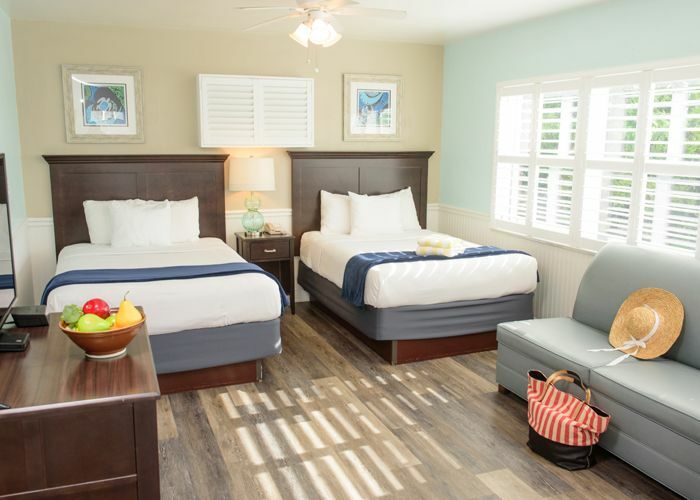 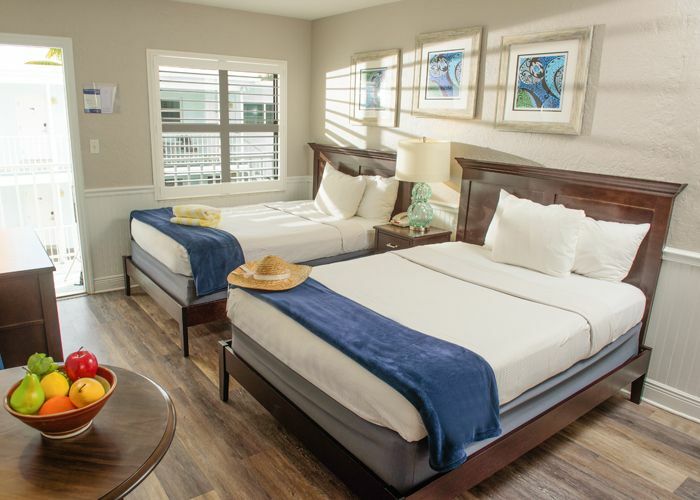 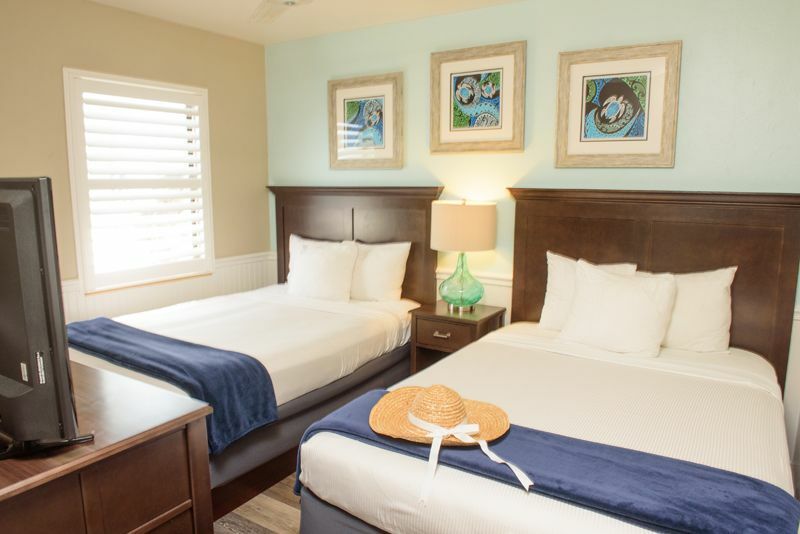 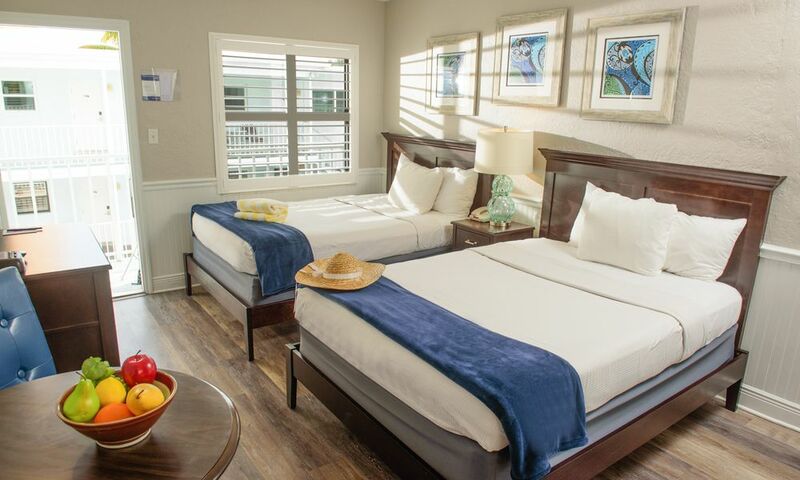 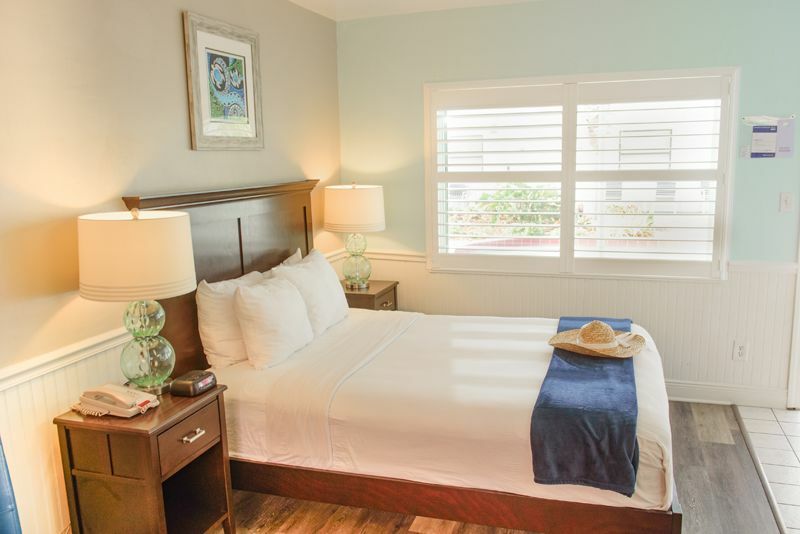 The Tahitian Beach Motel's Rooms, Efficiencies and Suites are located just steps away from the Pool, Kids' Pool, Shuffleboard and the Beachfront Sundeck, directly on Treasure Island Beach, one of the widest beaches in Florida. 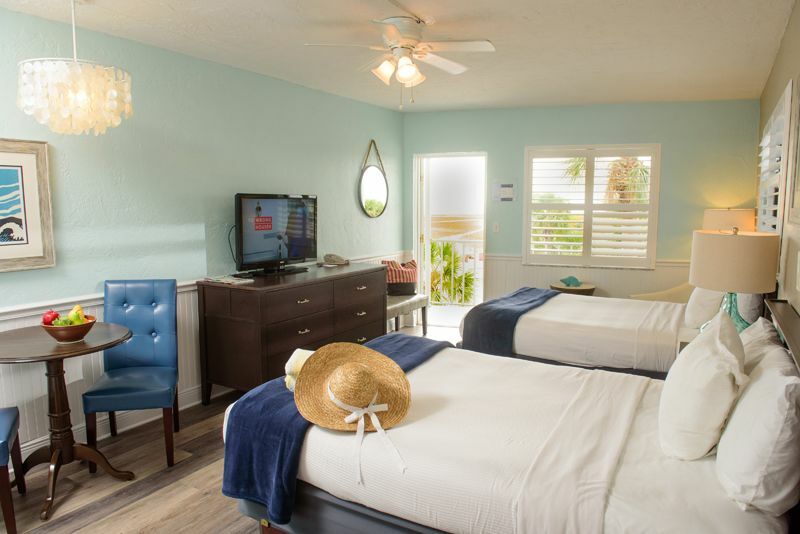 Courtyard 1 and 2 Bedroom Motel Apartments open onto a relaxing Fountain and Garden adjacent to the covered patio and Beachfront Sundeck, with beautiful views of Treasure Island Beach and Florida's spectacular sunsets! 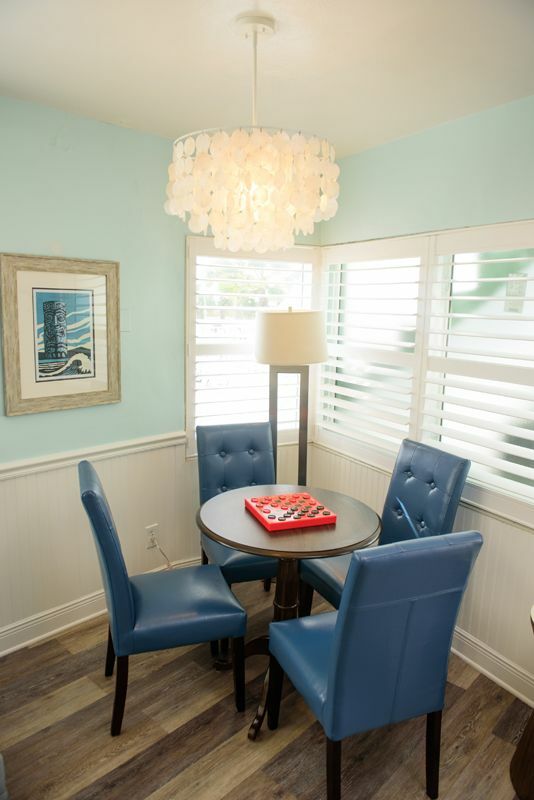 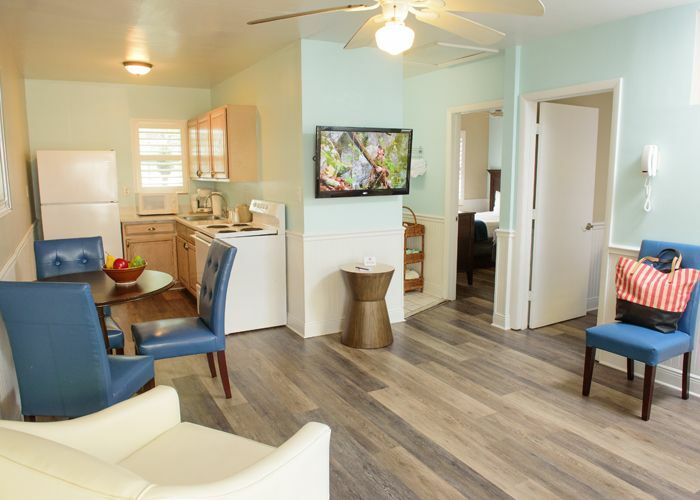 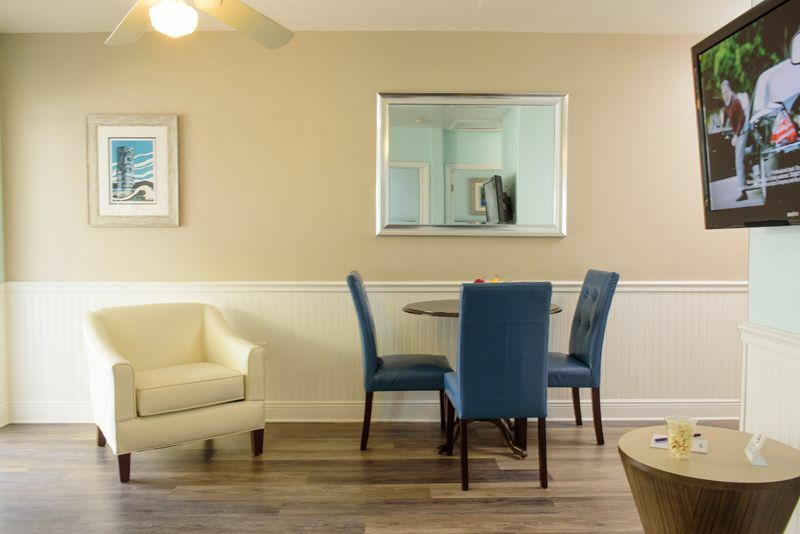 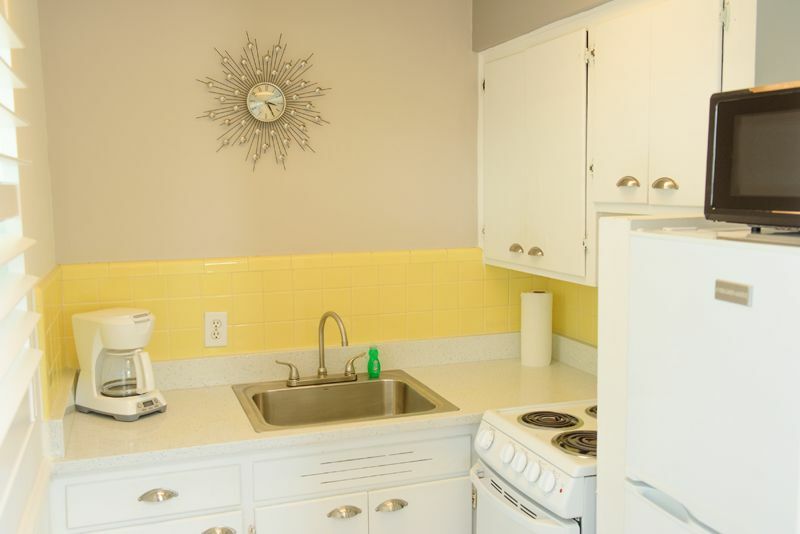 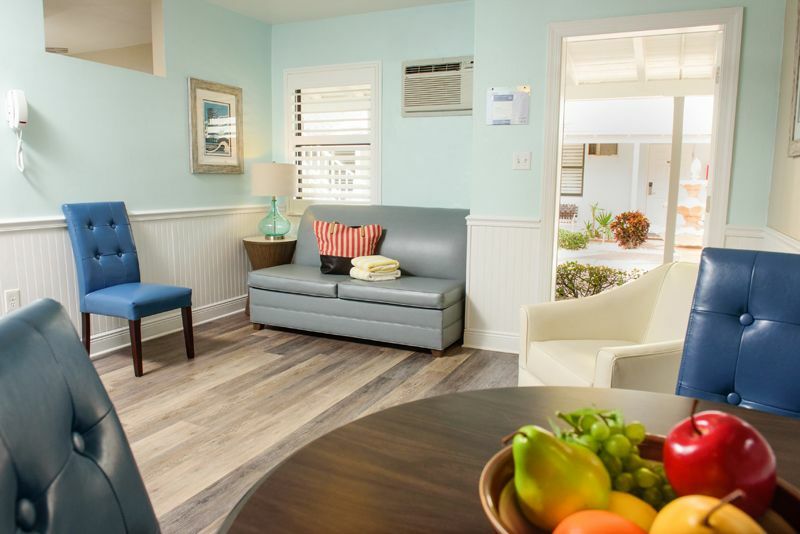 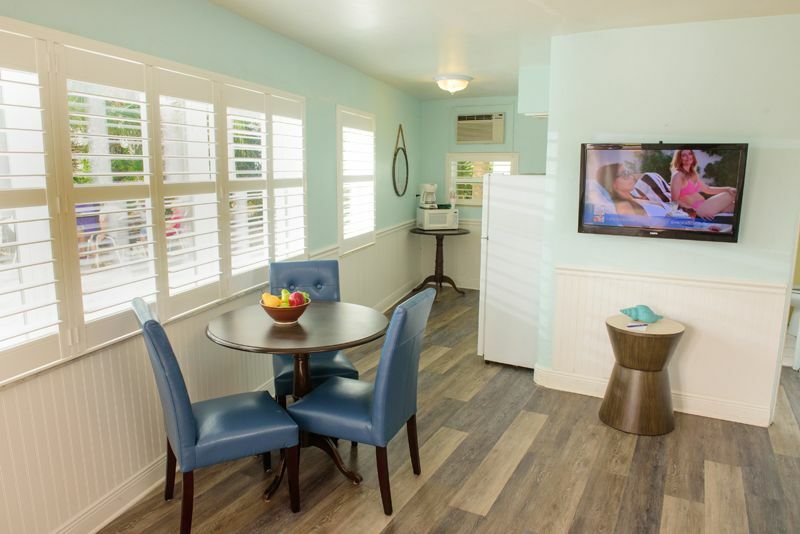 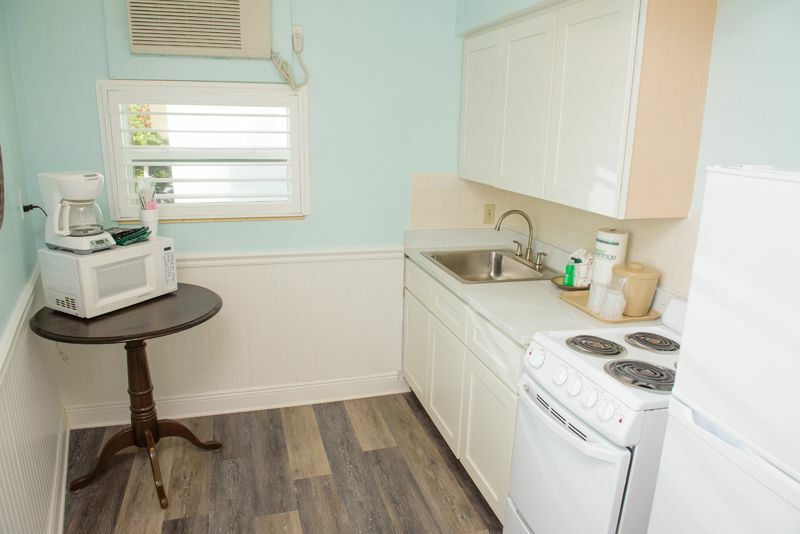 Stay Bayside in one of our One Bedroom Motel Apartments and enjoy complimentary wireless internet and unlimited local and long distance calling in the U.S. and Canada. 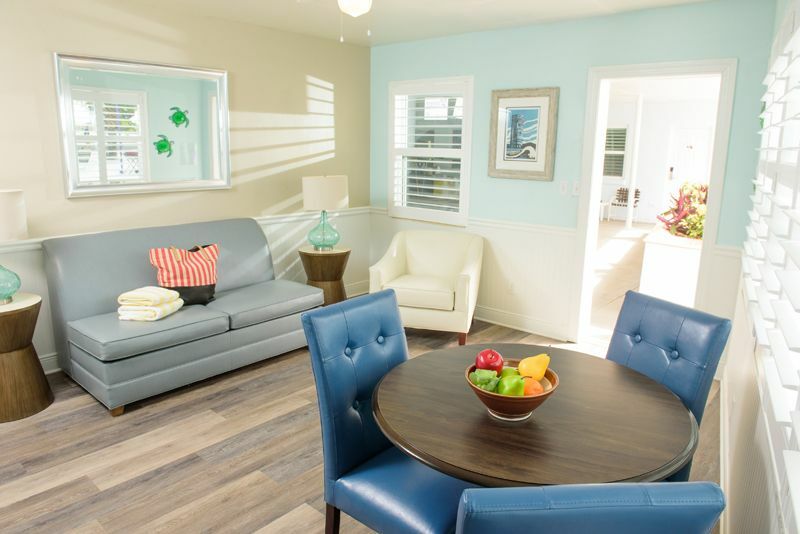 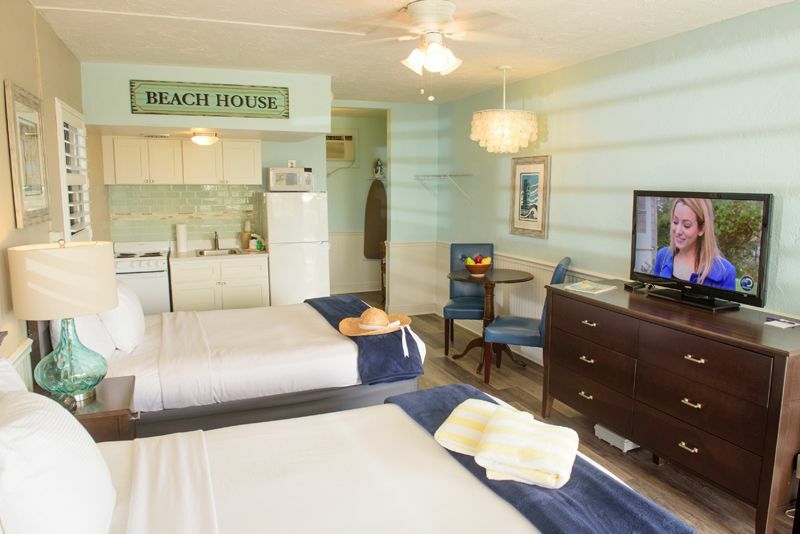 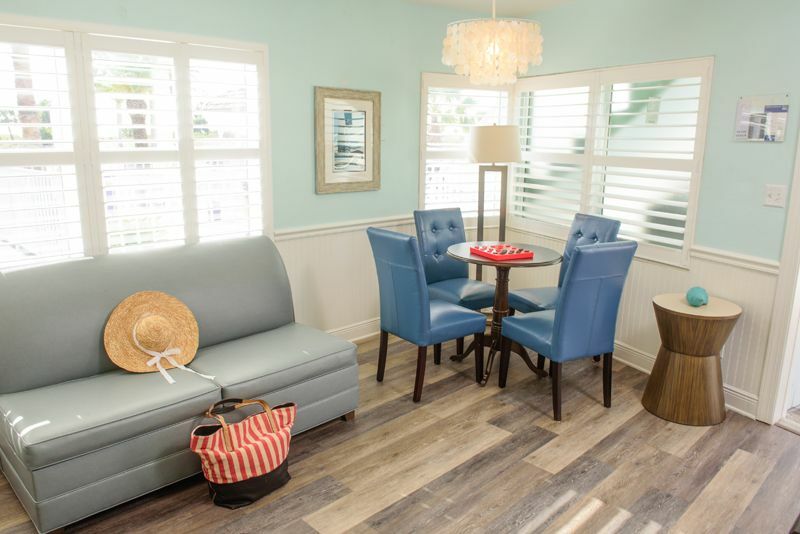 No other beachfront motels on Treasure Island or St. Pete Beach offer these types of amenities or this much flexibility at such affordable prices! 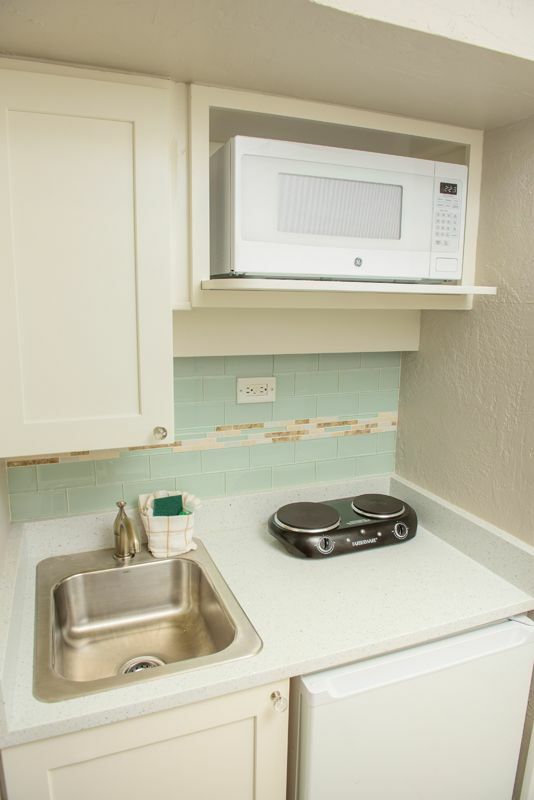 All units are non-smoking. 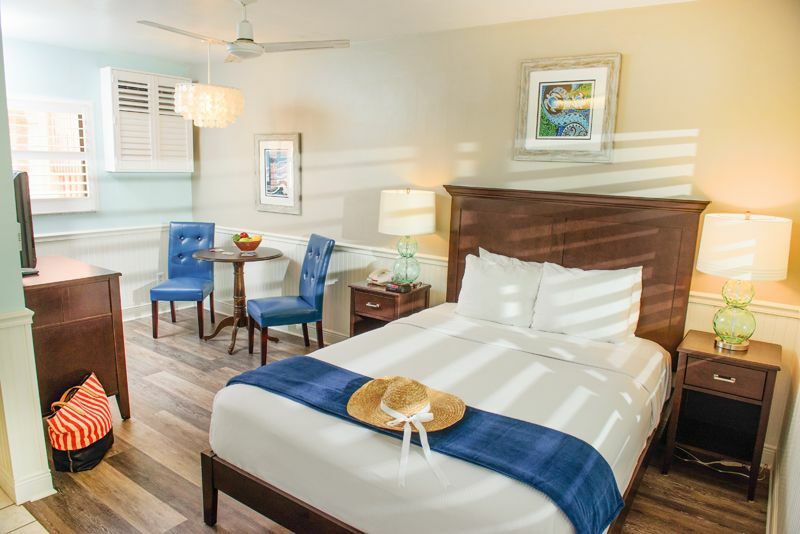 For questions about our rooms, including discounts on weekday stays, or to reserve your stay, call the front desk at 1-888-606-5209 or 727-360-6264.